Courtesy of Hudson Trailer Co.
On a Monday morning, Suzanne Hasz is on a five-hour drive from her home in Orange County to southern Pennsylvania to pick up a Cushman truckster. It’s a far cry from the glamorous traveling she did during her decade in the fashion industry, jetsetting to London and Paris for runway shows. But these days, she’s happy having these one-off adventures to find vintage trailers for her event rental company Hudson Trailer Co. 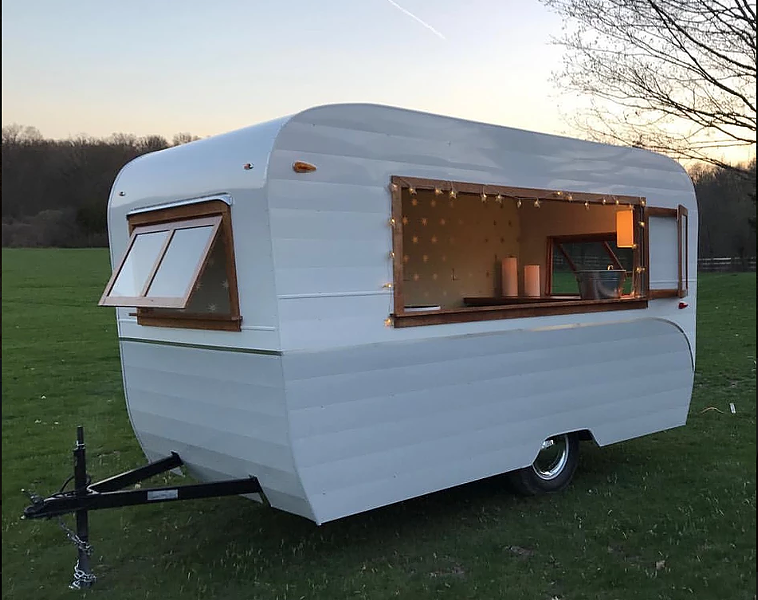 While the tiny house fad has catalyzed a generation of DIY airstream remodels, many of those refurbished trailers remain stationary. 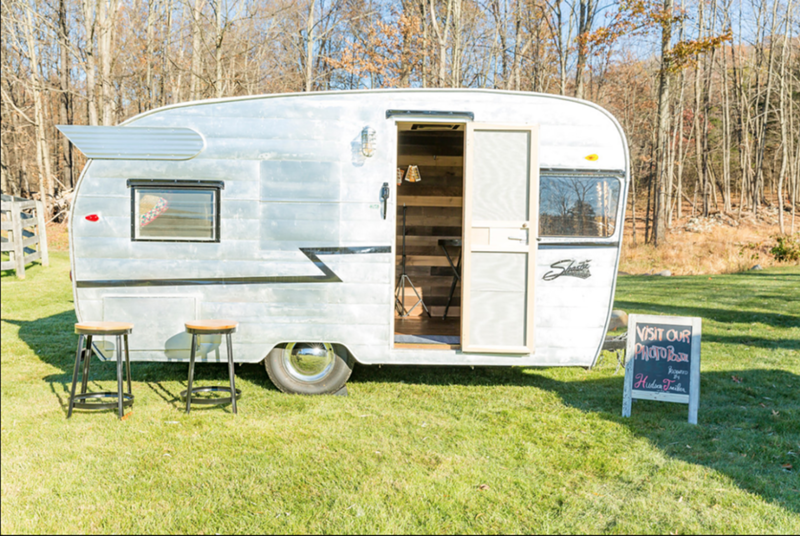 But Hasz’s company, based out of Washingtonville, is sprucing up vintage tow-behind campers and transforming them into mobile bars and photo booths, while she rents them as whimsical-yet-functional centerpieces for weddings and events. Originally from Colorado, Hasz moved to New York 18 years ago to study law. She then became head of Gigantic Brand's fashion division in New York City. When commuting back and forth to Rockland County every day became too hectic, she left work to be a stay-at-home-mom for her three kids. But the self-described workaholic quickly became stir crazy, and since then she’s owned two spas, a construction management business, and an event planning studio. Eventually, she moved to Washingtonville with her family to return to her rural roots. It was here that the grand idea for Hudson Trailer Co. formulated. Three years later, that project has become a full-blown obsession—she scours the internet and classified ads for beat up trailers and Cushman carts that she can restore for Hudson Trailer Co. When Hasz acquires them, the trailers are often rusted or bent out of shape, with outmoded interiors. The process of turning these trailers into delightful bars and photo booths takes anywhere from several weeks to several months and involves building new frames, sandblasting, welding, cutting out windows, and adding lights, electricity, tap systems, and plumbing—most of which she does herself—not to mention beautification like painting and decorating. 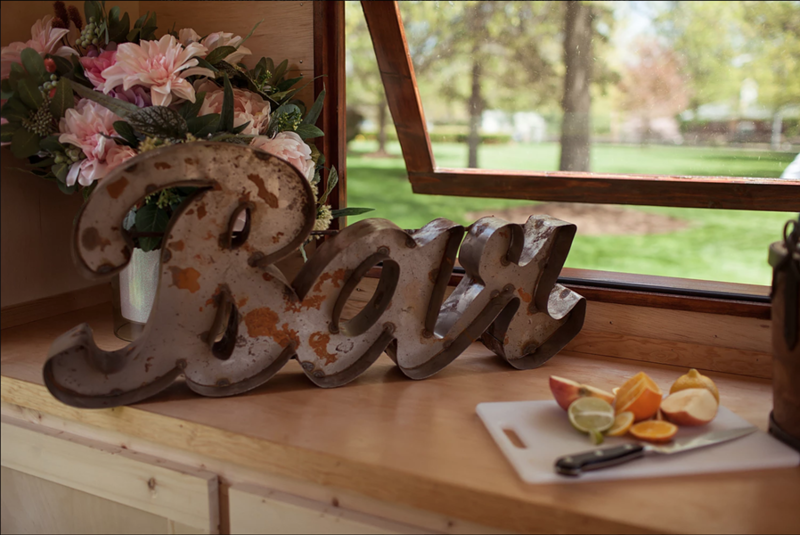 DIY weddings, family reunions, proms, graduation parties, corporate events—Hasz will bring her souped-up trailers to just about any event. Choose from a range of different sizes, styles, and functions, depending on the occasion. 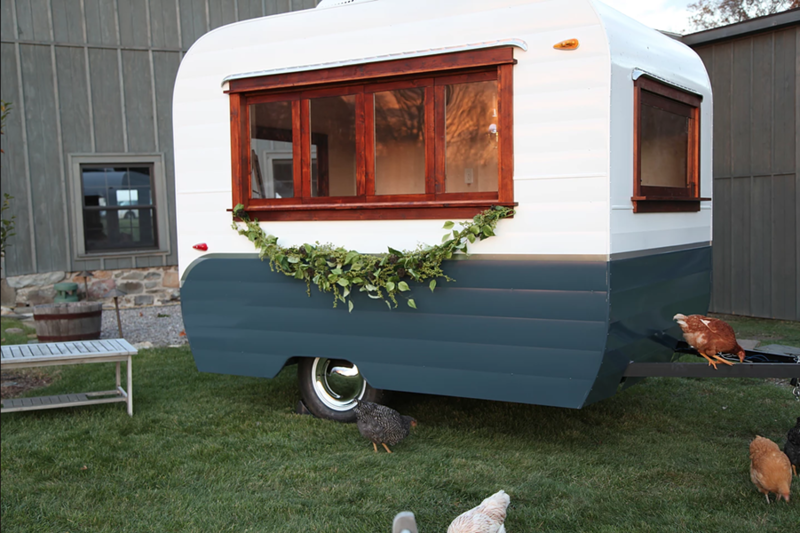 Trailers like Goldie and Della are rustic yet elegant, with white exteriors and wood finishes—adding a beautiful design element for outdoor weddings. The mobile bars have sinks, countertops, and built-in taps that can run wine, beer, cocktails, or nonalcoholic beverages. You could have a dedicated champagne trailer. Hudson River Trailer Co. can provide a bartender, but not alcohol. 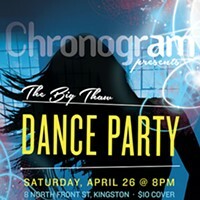 All the logistics can be worked out depending on the venue. Hasz is typically flexible and will rent out the trailers for the full day. 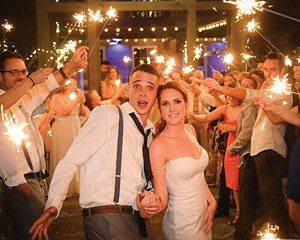 The mobile photo booths, like Pixie and Flash, are retro, walk-in trailers that come with props, backdrops, customized templates, a photo booth attendant, unlimited prints, and a USB drive of all your photos. Hudson Trailer Co. also offers stand-alone bars, signs, and decor to give you the full party experience, even if you can’t fit a trailer at your event. Visit the Hudson Trailer Co. website to find out how to get Goldie, Flash, or any of their other trailer friends to your next party.